The Art of Madagascar 3 provides a fascinating look at the character design, development art, and special effects that make up this stunning CG movie from the artists at DreamWorks Animation. In the third installment of the Madagascar series, Alex the lion, Marty the zebra, Gloria the hippopotamus, and Melman the giraffe set out to return to New York. Dependent on the mechanical know-how of the notorious Penguins, their plan inevitably goes awry, and they find themselves stranded in Monte Carlo, where they join up with a traveling circus by chance. Led by the venerable tiger Vitaly, the animal-centered circus has seen better days. 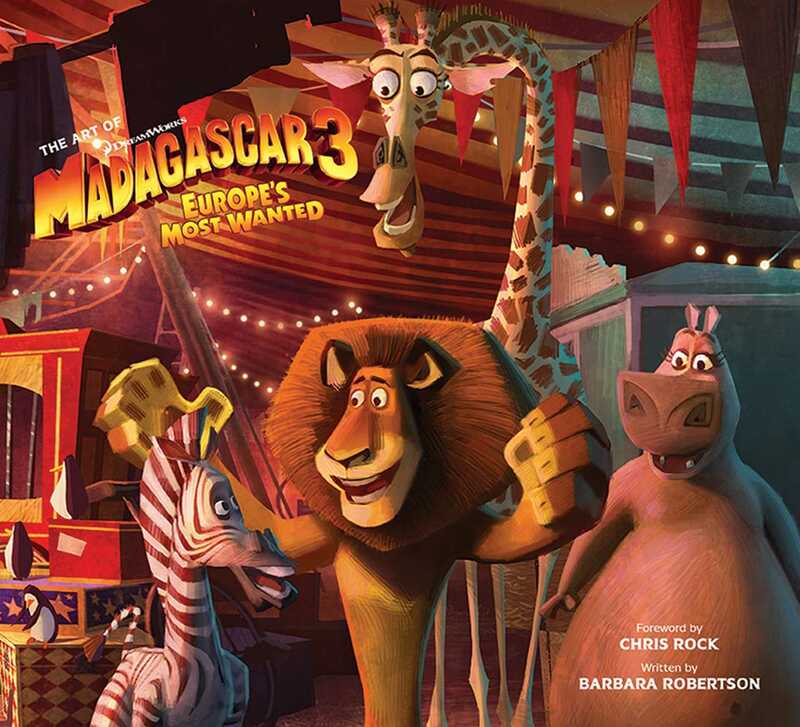 During the course of a tour through Europe that ends in a fabulous big top in the heart of London, Alex, Marty, Gloria, and Melman help Vitaly, Gia the jaguar, and Stefano the sea lion rediscover their passion for show business and reinvent the circus while being chased by the notorius animal control officer, Madame Dubois. A treat for fans of all ages, The Art of Madagascar 3 is a joyous celebration of these lovable characters and the artistry that brought them to life.